Mike Griffin from Organic Valley addresses the crowd at Ocean Breeze Dairy in Valley Ford, CA as part of the California Department of Food & Agriculture’s Global Climate Action Summit affiliate event. This article was originally published by the Gold Ridge Resource Conservation District (RCD). The Gold Ridge RCD in Sonoma County facilitates voluntary stewardship of natural resources to address water quality and quantity, soil health, climate change, biodiversity, ecosystem health and environmental education on private and public lands by providing technical assistance, access to funding, and education to land owners, land managers and all other members of the community. The farms, organizations and businesses mentioned in this article have partnered with CalCAN in various capacities to advocate for agricultural climate solutions. This September, Governor Jerry Brown held an international event in San Francisco to bring attention and renew commitment to solutions to the climate crisis. The Global Climate Action Summit touched on all sectors of society that send greenhouse gas emissions into the air. The California Department of Food and Agriculture hosted a two-day affiliate event in Sonoma County to highlight the role that working lands play in reversing the emissions of harmful greenhouse gases. In the first day, agricultural producers, business leaders and policy makers from around the world gathered at La Crema Estate at Saralee’s Vineyard in Windsor. 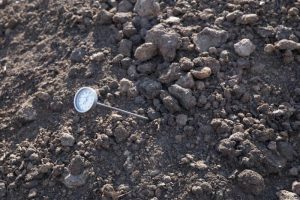 Attendees learned about the need to scale up climate smart agricultural practices that cut greenhouse gas emissions, capture carbon from the atmosphere, and store it in the soil. Scaling up means that farmers and ranchers need partnership, investment, research and technical assistance to achieve the climate goals that the global community has established. 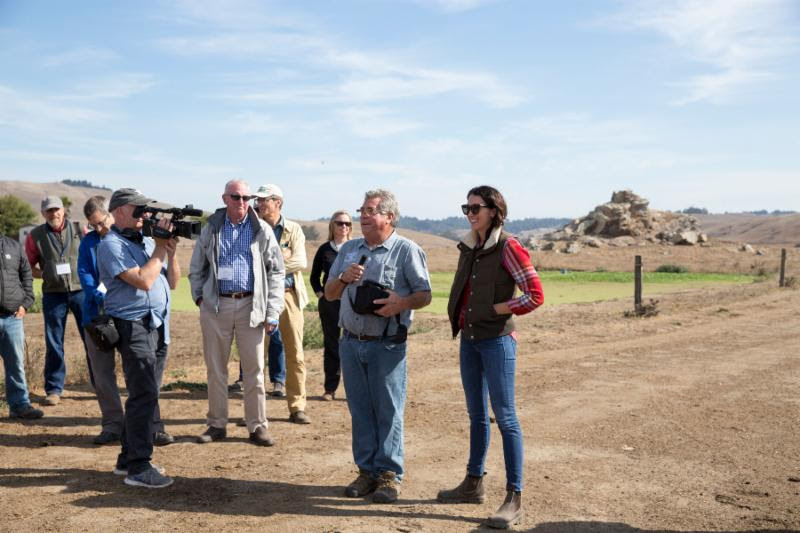 Partnerships were on display for day two of the event when attendees traveled to the coast to visit Ocean Breeze Dairy in Valley Ford and Stemple Creek Ranch in Tomales, CA. Ocean Breeze Dairy and the Gary Bordessa Dairy make up the multi-generational Bordessa Family Dairy, whose business model focuses on grass-fed, certified organic milk production. Jarrid and Jackie Bordessa, owners of Ocean Breeze Dairy, have decided to take their commitment to the land another step further. They recently partnered with the Gold Ridge RCD and the Carbon Cycle Institute to write a Carbon Farm Plan, a guiding document to managing carbon resources. Changes to the Bordessa’s operation—like applying compost, planting vegetation along the creeks, and alternative manure management practices—can remove carbon from the atmosphere where it can do harm warming the planet and build carbon stores in the soil and in vegetation. 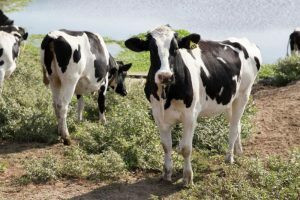 These practices also provide multiple benefits to the dairy operation as they advance soil health, improve riparian habitat, increase range production and boost soil water holding capacity. Organic Valley, the dairy company that Ocean Breeze Dairy sells its milk to, also has their focus on climate. At the affiliate event, Organic Valley announced the company’s deepened commitment to climate smart agriculture. “As leaders in food and farming, it is our responsibility to pioneer change for good,” says Jonathan Reinbold, Organic Valley’s head of sustainability. Committed to being part of the climate solution, Organic Valley, in partnership with Annie’s Organics, has already financed the development of three Carbon Farm Plans in Sonoma and Mendocino Counties, but in 2018, this initiative will be expanded to other California farmers. From there, Organic Valley can explore how to bring Carbon Farm Planning to their other farmers across the country. Carbon Farm planning and implementation funding provided by USDA’s NRCS Regional Conservation Partnership Program and CDFA’s Healthy Soils Initiative.